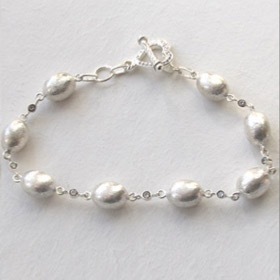 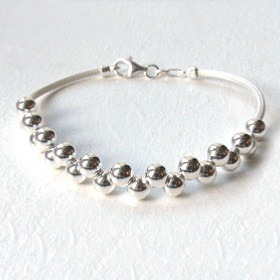 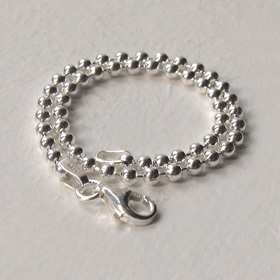 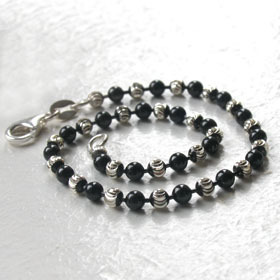 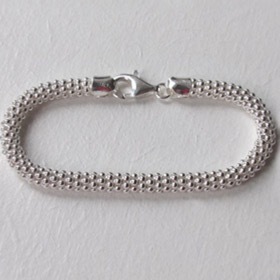 Silver ball bracelets also called silver bead bracelets are fun and ever popular. 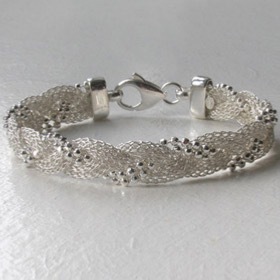 Our collection is made exclusively in Italy and is sterling silver. 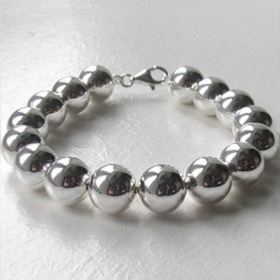 Whether it's a discreet small ball bracelet or something bold and dramatic - a statement ball bracelet - you'll find it here. 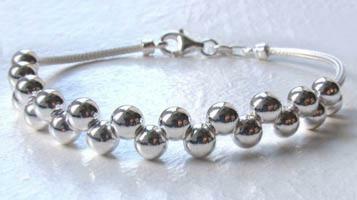 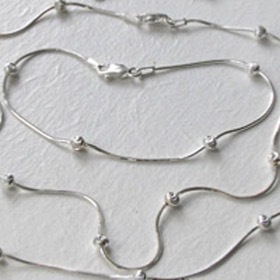 Most of these silver ball bracelets have matching silver ball chain necklaces. 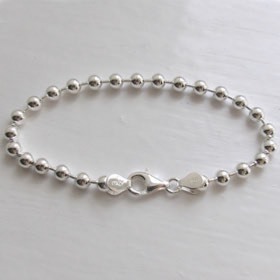 A silver ball bracelet is ideal for layering with other silver bracelets to create your own signature style.